**Due to possible last minute changes to times & locations to the events below, we encourage you to click on the link of the event holder to get the most updated information. What is Earth Day and How Can We Help? On April 22, 1970, 20 million Americans took to the streets and parks and auditoriums to demonstrate on behalf of a healthy, sustainable environment. Earth Day is now globally celebrated around the world. Bring your favorite shovel, work/gardening gloves, drinking water, a hat, and sunscreen. Please identify yourselves as volunteers at the kiosk as you enter the park to receive a complimentary parking pass to display in the window of your vehicle. Where to Park: Lot just before the bridge over San Juan Creek. Walk over the bridge’s sidewalk and enter the open gate of the Campfire Center. This is a free event for all ages featuring recycling, Native American basket weaving, Nature face painting, The Earth Day scavenger hunt, FREE giveaways and much more! Give back this Earth Day by coming out on a special Whale Watch trip! We will be stopping to clean trash (like plastics & balloons) out of our ocean. Passengers will receive a tote bag and reusable water bottle. The Center for Sustainability at Cal State Fullerton is sponsoring a wide range of campus events April 18-25 in observance of Earth Week on campus. Bike & Transportation Festival, Careers in Sustainability Panel, Campus Garden Groundbreaking Ceremony, Farmers Market and Earth Week Expo are featured at this event. Children's garden activities make this a great family outing. Proceeds from this event supports education programs and plant conservation. Join us for a morning of giving back and supporting Orange County Coastkeeper. To reserve your spot, please register in advance. 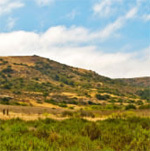 Enjoy self-guided access in the southern portion of Irvine's Open Space preserve. The entire southern Open Space Preserve trail network will be open for self-guided hiking and biking, including single-tracks in Shady Canyon and Bommer Canyon that are reserved for guided activities only. Registration is not required. Help celebrate Earth Day at Crystal Cove State Park on Saturday, April 20th from 9am-12pm. Projects include: weeding, trimming, painting signs, sanding, waxing lifeguard towers, repairing wood rails and beach cleanup. Earth Day is always a great opportunity for park lovers to get their hands dirty and see the immediate fruits of their labor. Bring gloves, hat, sunscreen, water and lunch. "Go Green" and volunteer to plant, weed and clean up the Niguel Botanical Preserve. Celebrate Earth Day by giving your time to improve the landscaping in our 18-acre preserve. Volunteers should wear old clothes, closed toed shoes, and be prepared to work in the soil! Drinking water and light snack provided. The City of La Palma will be celebrating Arbor Day by planting a tree! In addition, there will be crafts, presentation of the art and coloring contest winners and of course the planting of a new trees. Visit the Green Expo to learn about environmental programs offered by the City and exhibitors. Volunteer to plant new landscape at the park. Free hotdogs and ice cream while supplies last. Parking will be available at Carl Hankey School and the Felipe Tennis Center parking lots. Volunteers should wear hats, gloves, boots, and sunscreen and bring a shovel for planting. Newport Bay Conservancy, in partnership with OC Parks, present the 29th Annual Earth Day at the Bay. Earth Day is a time when we can all reflect on the importance of our natural surroundings and how we can preserve and protect them. Environmental partner booths will feature family friendly activities including arts and craft, science discovery, and educational information. There will be a scavenger hunt with small prizes for all participants and entry in larger prize drawings. The day will be filled with live music from Danny Maika. Guests are encouraged to bring a bag of small, clean, hard plastic items (bottle caps, toy pieces, old pens and markers, etc.) from home so that the Child Creativity Lab can help make an amazing creation and keep these plastics out of our Bay and ocean. Give back on Earth Day by participating in a restoration event. Participants will help mother earth by watering native plants or pulling weeds. After your morning of hard work, walk down to the Muth Center and enjoy our Earth Day Celebration! Guests are encouraged to bring bags of small, clean, hard plastic items (bottle caps, toy pieces, old pens and markers, etc.) from home, so that the Child Creativity Lab can help them make an amazing creation and keep these plastics out of our bay and ocean. Food trucks will be on site selling delicious culinary creations. Also, be sure not to miss the opportunity drawing! Join the City of San Clemente Environmental Division and the Watershed Task Force as they organize a day of educational information about how everyone can make a difference in reducing litter, and pollutants which end up in our streets, storm drains, and eventually our beaches, and ocean!